Thank you, everyone, for the lovely birthday wishes. I truly had the best birthday ever. Time sure flies. That brings me to the topic of my new video. A few days ago I had an interesting encounter I would like to tell you about. People who’ve led healthy lifestyles are especially bewildered. What did we do wrong? It’s called aging. There’s a lot you can do to slow it down. 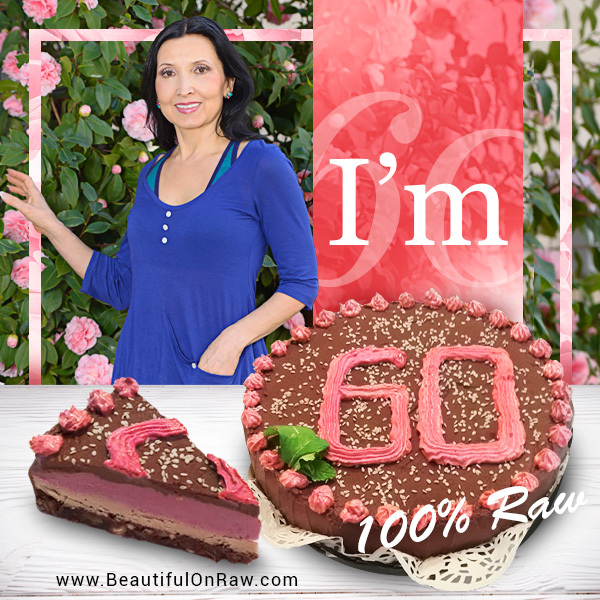 My whole website www.beautifulonraw.com is dedicated to diet recommendations and beauty tips that will make a difference in how you age. But some changes—and there will be more of them as time goes on—we’ll just have to accept. People who’ve read my earliest writings will say: Tonya, have you changed your tune? Not really. I have always been truthful with you about what to expect at any given age, and suggested actions you need to take to prepare for what’s coming. My sixties will be no different—I’ll be just as frank. 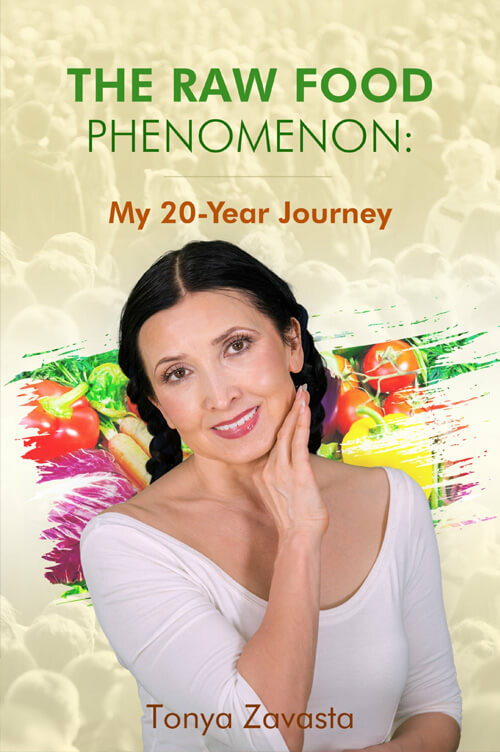 In my forties and early fifties, I was of the view that my unfaltering raw food lifestyle and diligent skin care would help me stall aging indefinitely. I imagined them muttering in corners at raw food parties: You know, she’s a hundred and five—still looks like a schoolgirl! Well, okay, I never did imagine that, exactly, but you get the drift. My late fifties were sobering. I’m learning not to agonize over every little crease or fold of skin. For my 60th birthday I’ve made a resolution. I’ll do the best I can to take care of my health and appearance (I’m pretty good at that already). But the most important thing…I’m going to enjoy my sixties. I’m not going to lament how it used to be, lest I miss the moment of gratitude for what I still have. I strongly recommend you do the same! 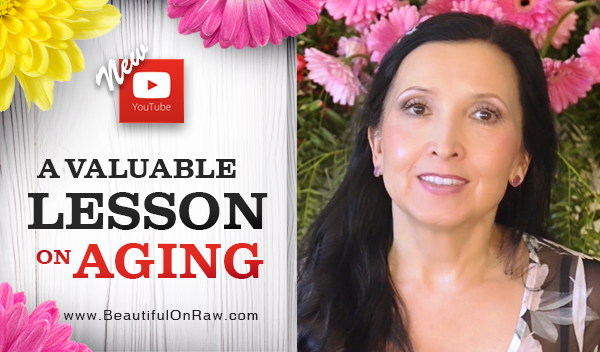 Make sure you watch my new video: A Valuable Lesson on Aging I've Just Learned. A Valuable Lesson on Aging I've Just Learned! Ask anyone to name just one thing that makes a person look old…Most people will say it's loose skin. But unless you’ve reached your middle 50s, you’ve not seen it yet. The drop in skin firmness between 50 and 60 is Grand-Canyon deep. That’s why those 40- or 50-something anti-aging “experts” (yours truly 10 years ago included!) аre making me smile now: Oh, how easy it was to look young at that age! Read the whole article Help for Sagging Skin. Make your lips look fuller and younger in 3 minutes!